Dirk van Erp’s workshop was one of the few Arts & Crafts period craft shops to prosper and endure from the original Arts & Crafts Movement all the way up through its decline and renaissance in the late 1970s. Dirk started making art metalware shortly after 1900 and the studio continued until the death of his son, William van Erp in 1977. 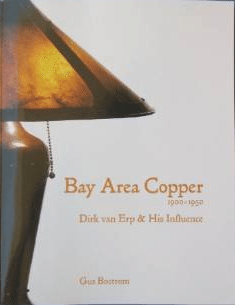 The book, published to coincide with the exhibit, is the most comprehensive work ever to explore the life of Dirk van Erp and his son William based almost entirely on primary source material, using newspaper articles, census data, museum archives and original photos and documents from the van Erp family, many of which have never been published before. • Harry St John Dixon, brother of western artist Maynard Dixon, who became the Bay Area’s other most celebrated coppersmith. • D’Arcy Gaw, Dirk van Erp’s first partner in San Francisco. • August Tiesselinck, Dirk van Erp’s nephew, whose technical skills and creative designs were especially admired. • Dirk van Erp’s children, William and Agatha van Erp, both of whom became accomplished coppersmiths. 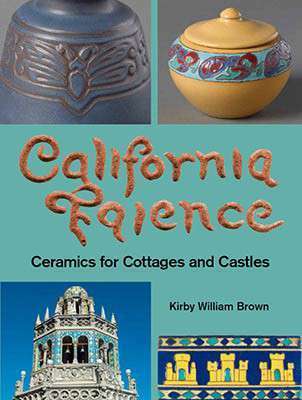 • Lillian Palmer, who moved from San Jose to San Francisco to found the Palmer Shop Cooperative, an early woman-run studio. • Plus: Fred Brosi, Hans Jauchen & Old Mission Kopper Kraft; Armenac Hairenian; the other Harry Dixon, Harry L Dixon; Digby Brooks; Mills & Burnley; and John L. Willocx, among others..
With its emphasis on social reform and simplicity in design—bold lines, honest use of materials, and redeeming qualities of handmade goods—the Arts and Crafts movement offered an antidote to the perceived ills of a rapidly changing world and the ornate and artificial Victorian aesthetic of the late 19th century. In the first years of the 20th century, the movement was popularized in the United States through the efforts of Gustav Stickley (1858 – 1942), a businessman who promoted a progressive American style and the ideal of the simple life through the efforts of his furniture factory and publication, The Craftsman. Gustav Stickley and the American Arts & Crafts Movementaccompanies the first nationally touring exhibition of Stickley’s work and explores his dual roles as a visionary business leader and enthusiastic proselytizer of design reform. The full range of Stickley’s workshops is illuminated, including more than 100 objects of furniture, metalwork, and textiles, as well as architectural drawings and related designs, many of which are previously unpublished. 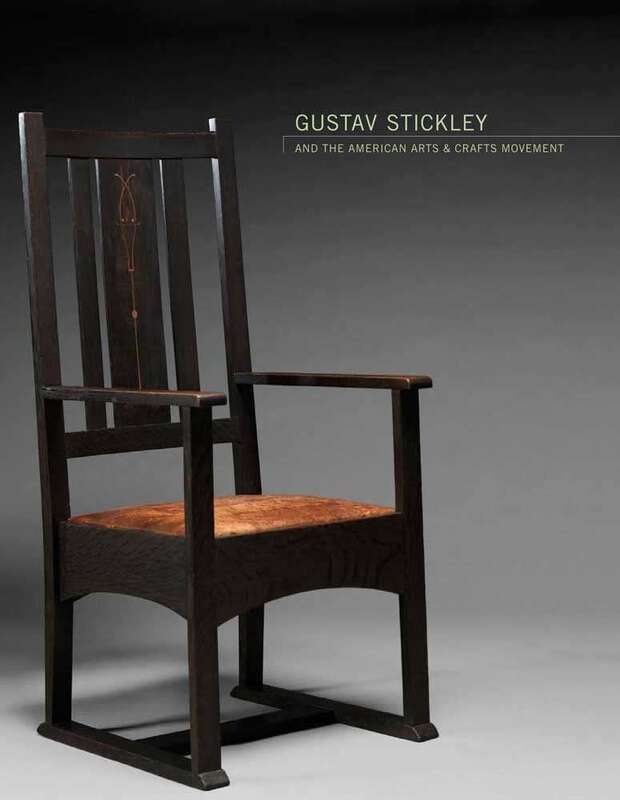 Essays by distinguished contributors provide diverse viewpoints on the Arts and Crafts movement and Stickley’s evolving role as tastemaker, and the often contradictory messages conveyed through the construction and promotion of his designers’ works.